Width Any23 in. - 28 7/8 in.3Less than 23 in. 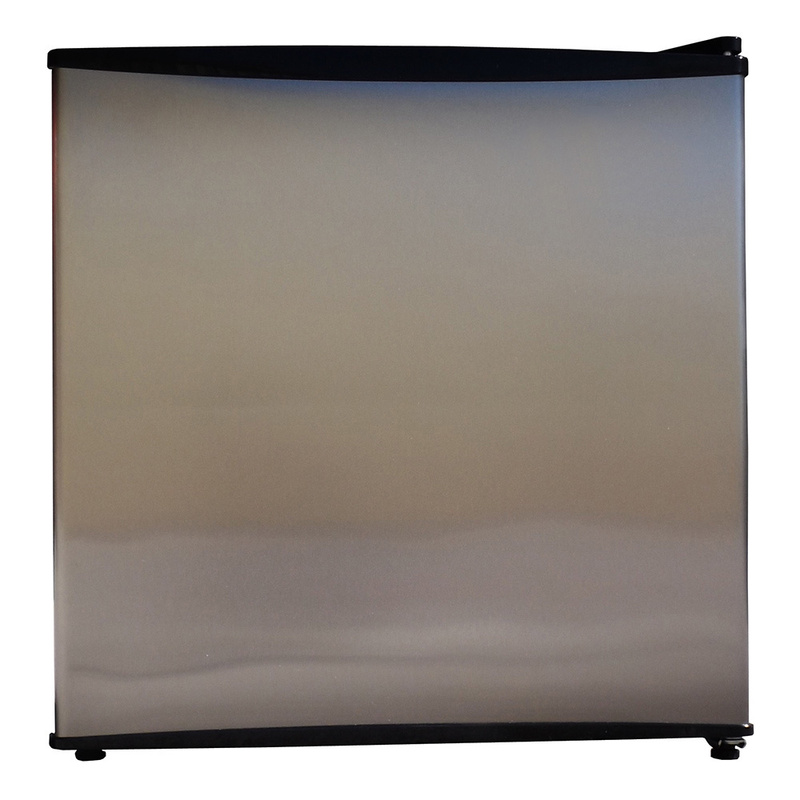 Freezer Capacity Any10 cu.ft. 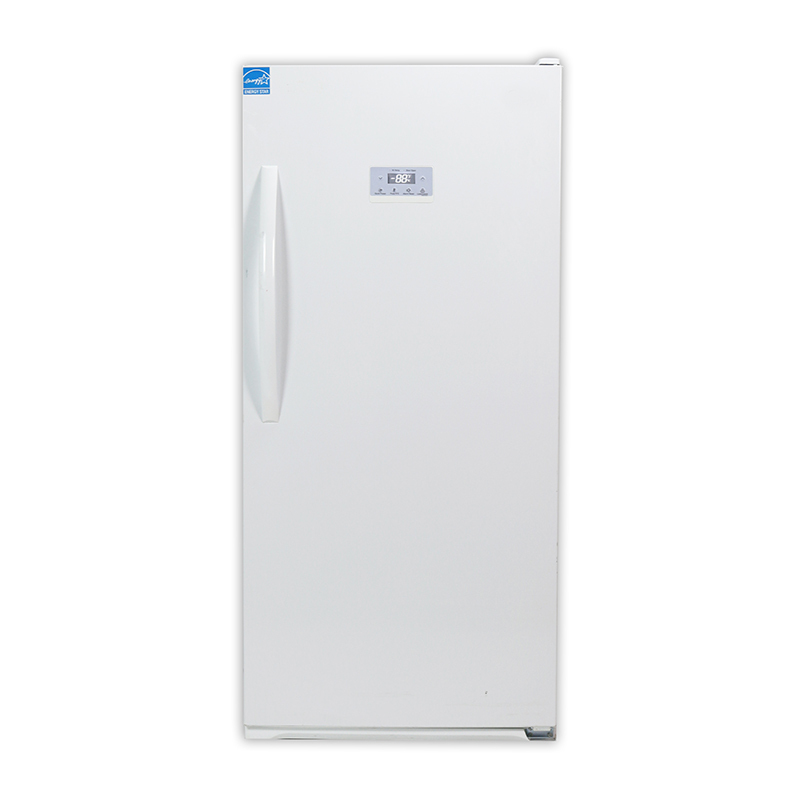 - 13.9 cu.ft.Less than 10 cu. ft. Height Any57 in. - 65 7/8 in.66 in. - 68 7/8 in.Less than 57 in. 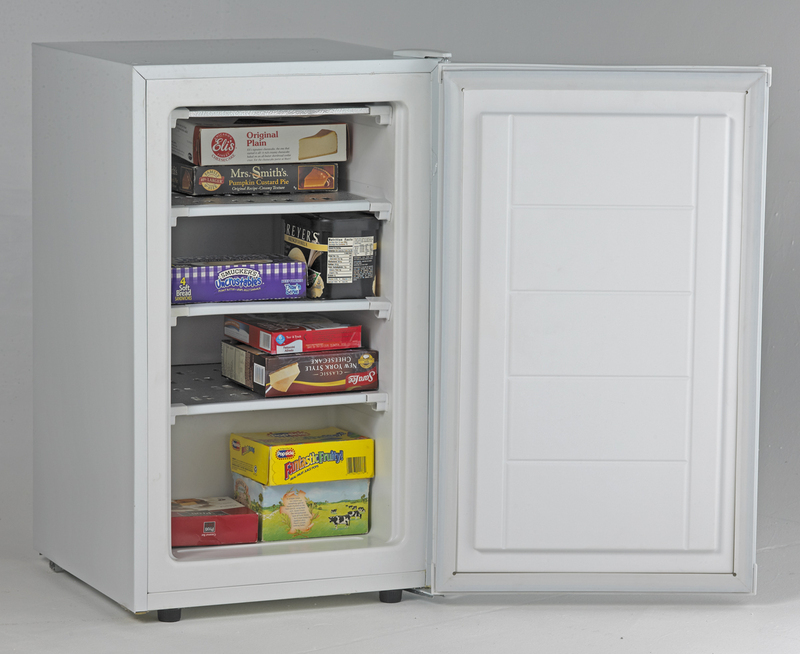 The RCA 3.0 CU FT Upright Freezer. 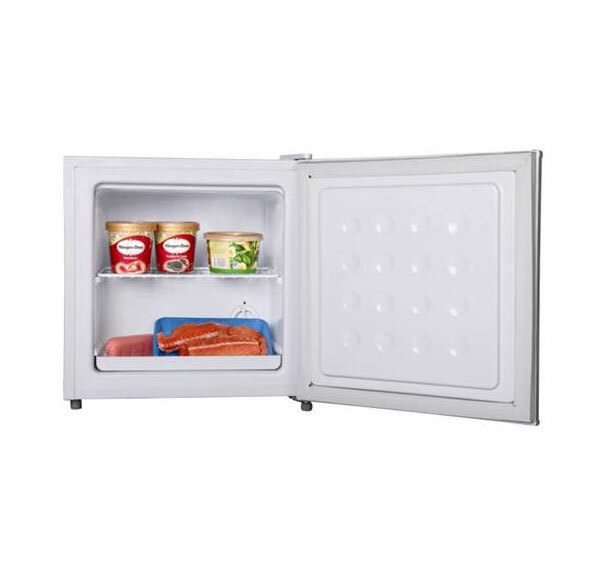 Complete with an Adjustable thermostat to keep your favorite foods nice and cool to the adjustable feet and reversible door this Freezer has it all. 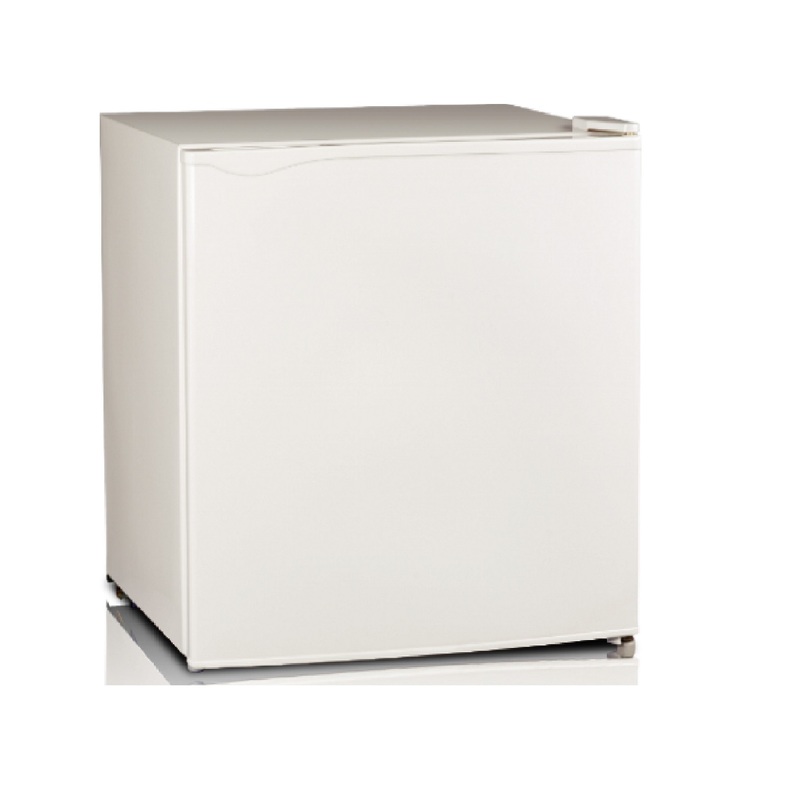 The large 3.0 cu ft Capacity and provided full width shelves makes this compact upright freezer perfect for all your frozen food needs. Put in your pantry dorm room or your office kitchen! This item cannot be shipped to APO/FPO addresses. Please accept our apologies. The Magic Chef 3.1 cu. 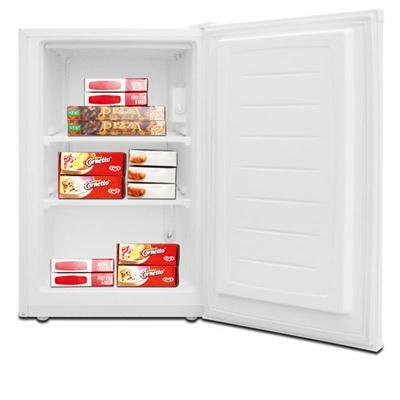 Ft. freezer offers plenty of storage space to stock a variety of frozen goods. 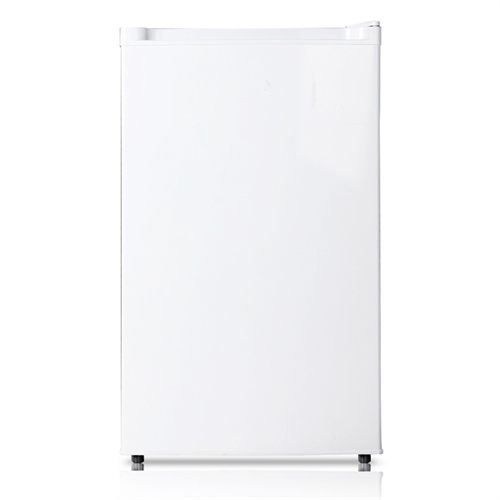 The all-white door and cabinet presents a sleek clean look while the manual defrost helps keep the freezer clean. And the wire shelves ensure easy loading and removal of items. Adjustable temperature control. Reversible door for placement flexibility. Recessed door handle for easy access. Flush Back design fits tight to wall This item cannot be shipped to APO/FPO addresses. Please accept our apologies. 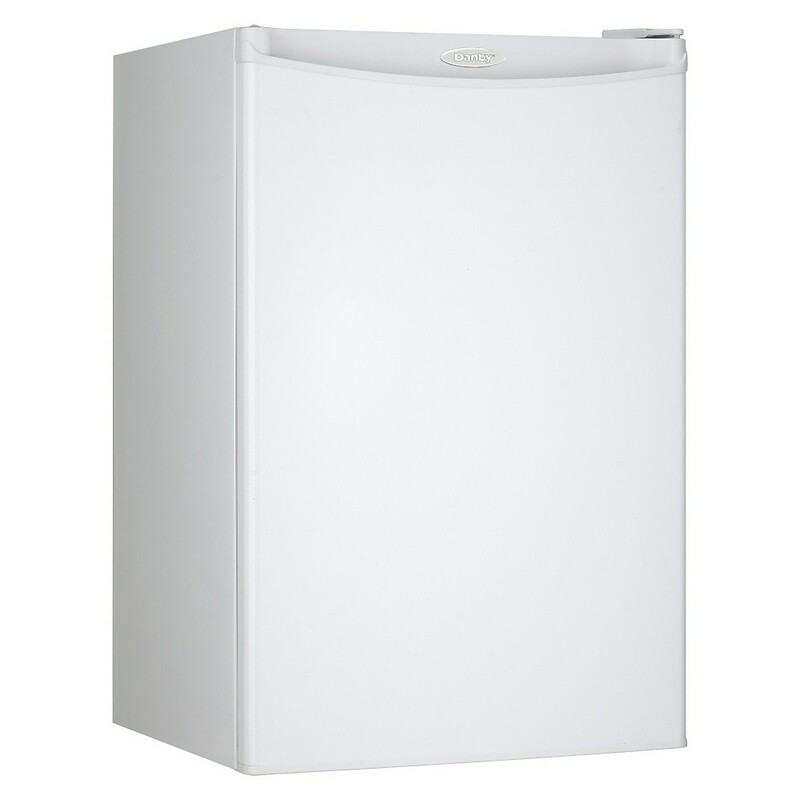 3.0 cu ft White Upright Freezer with Manual defrost Mechanical control with adjustable thermostat Wire drawer Adjustable legs Reversible doors 115V Energy-star. This item cannot be shipped to APO/FPO addresses. Please accept our apologies. 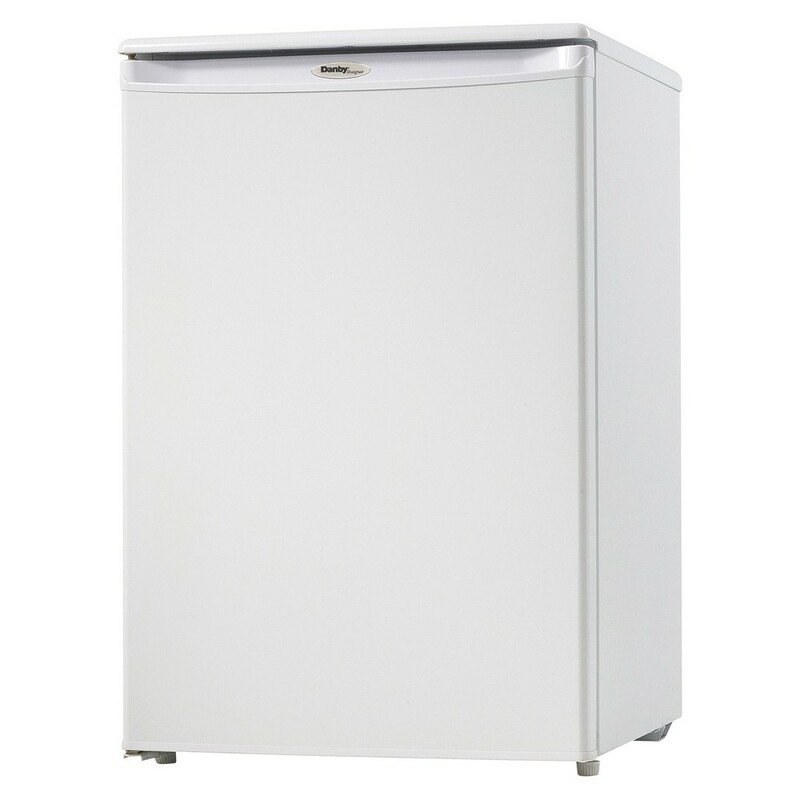 We do NOT provide any installation services nor removal of old appliances. Delivery for large items is curbside only. We do NOT provide any installation services nor removal of old appliances. Delivery for large items is curbside only. 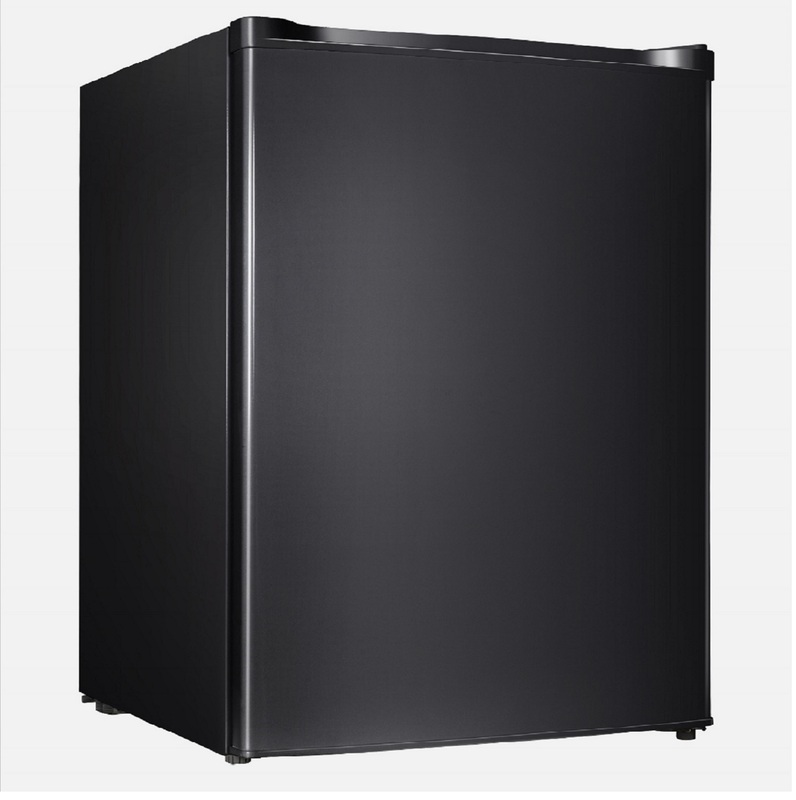 9 CF All Refrigerator - Black w/Glass Door Features 1. CAPACITY Auto Defrost All Refrigerator Reversible Double Pane Glass Door with Black Frame Recessed Handle Black Liner Two Black Shelves (1 Large / 1 Small) Full Range Temperature Control Free standing installation only. Proper ventilation is required to maintain satisfactory cooling and overall performance. See owner�s manual for proper installation requirements. 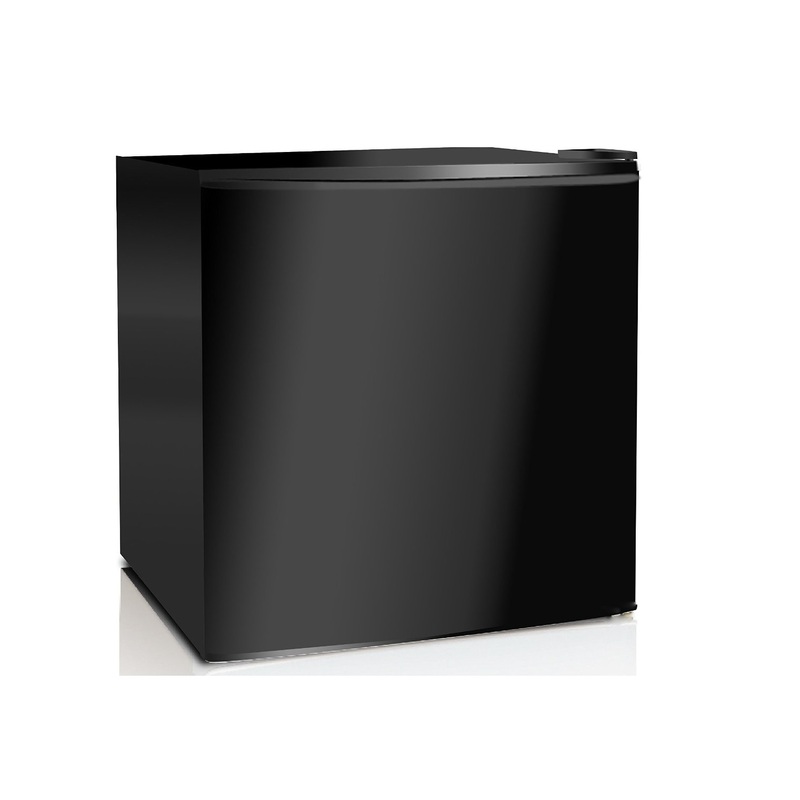 Color�� Black w/Glass Door Unit Dimensions�� 20. 5" D Carton Dimensions�� 21. 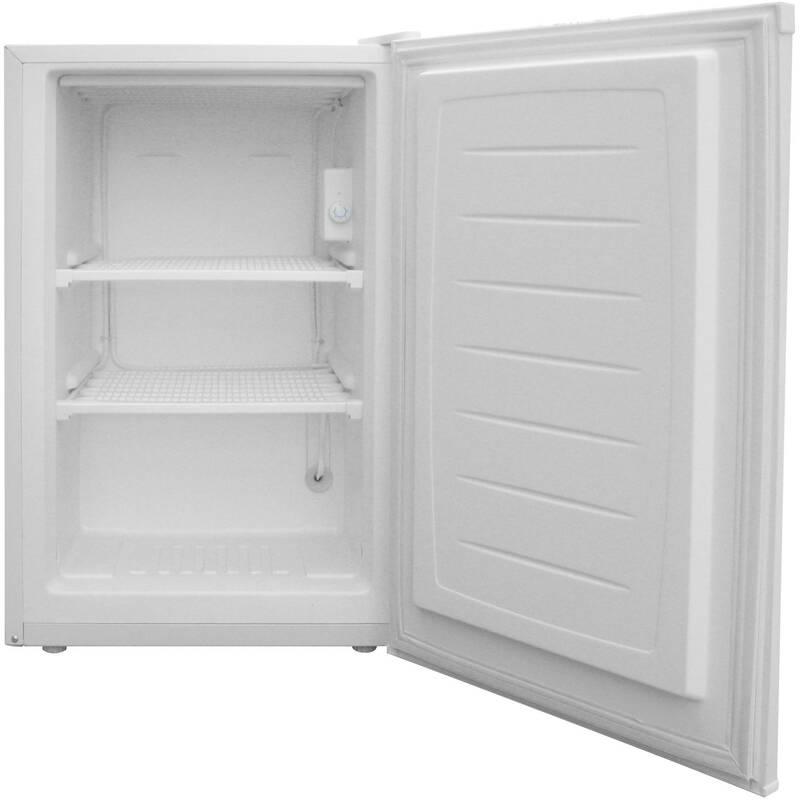 5" D Unit Weight�� 40 Shipping Weight�� 44 Defrost System�� Auto Power�� 110V / 60HZ Reversible Door�� Yes .